The first Bashy Art Contest, everybody! After the great response we had during these first few weeks on Kongregate, it’s only fair to give fans a chance to have their OWN DESIGN inside the game. And to make this even sweeter, there will be FREE TOKENS for the first three places! Check out the guidelines, get the template and get started!! 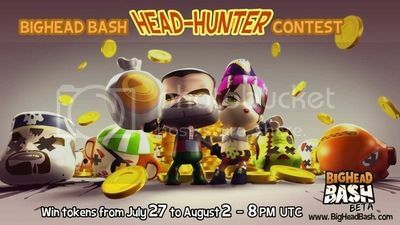 Want to help grow awareness of BigHead BASH and win some cool prizes?